Kristen Chin is founder and principal of POM Public Relations, a lifestyle and event PR firm based in Austin, TX. POM PR has handled Amanda Deer Jewelry, Austin Fashion Week, Fashion X Dallas, Shaesby fine jewelry, and Texas Style Council, among others. POM PR currently works with AIA Austin, Elevé Cosmetics, fibi & clo, MOSS Designer Consignment, SUAVS, and SXSW Marketplace, among others. 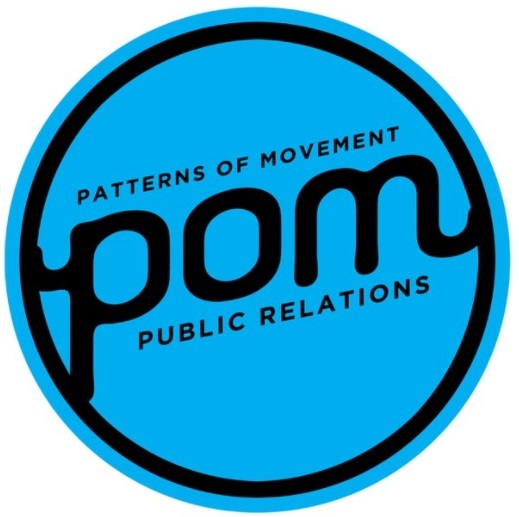 Prior to POM PR, Chin was an Account Supervisor at B|W|R Public Relations, where she worked on a wide range of corporate entertainment, hospitality, and special event clients like Wynn Las Vegas and Clive Davis’ Grammy Party. Before B|W|R, Chin was an account executive at Chasen & Company Public Relations, where she handled awards campaigns and personal publicity for music and film heavyweights including music producer Glen Ballard (Alanis Morissette) and Dave Stewart (The Eurhythmics). I can quickly scan a room and recognize faces, which is helpful in PR. My job is relationship based, so it helps to remember when and where you’ve met someone or when you last ran into each other. I’m a driven, perfectionist as well as a people person. When I take on a new project or client, I’m extremely dedicated to producing results. The perfectionist part comes into play on everything from diction in a bio to day-to-day emails. I also love being in social settings, hearing what’s going on in people’s lives, and connecting with others in an authentic way. I’ve been building POM PR for nearly a decade and I hope to grow it and scale. Our niche is fashion, beauty, retail, e-commerce, architecture/design and events. Staying in our lane has meant thoughtfully moving forward so that we can remain true to our core value of providing the best service to all of the clients on our roster. We’re really invested in each and every one, they’re like family! On the personal side, one day I hope to get back to Northern California. There’s nothing like being near the ocean, the snow and wine country! My biggest “work-adjacent” success would have to be being photographed for a street style article in ELLE Magazine. As a publicist, I’m always behind the scenes and that’s where I prefer to be, but seeing myself in print for a style story really was a rush. What an honor to be recognized for my personal style by a major national glossy! My most challenging moment was starting the company. Ten years ago, I moved from Los Angeles to Austin and the markets were quite different. At the time, there weren’t large-scale projects like what I had worked on in LA - opening the Broad Contemporary Art Museum (BCAM) at LACMA, introducing a new gaming system for Nintendo, etc. I still wanted to work on creative projects and within the consumer lifestyle space. The opportunity was there, but I had to create it for myself. I brainstormed, came up with a name, claimed the URL, and formed a LLC within a week. Did I mention, I’m driven? It all comes down to The Golden Rule! My husband and son are of course my favorite people. You can’t be a small business owner without support and they are my biggest fans. Working on events, means my job is not 9-to-5 and they’re so flexible in allowing me to do what I love. Some kids play house, my four year old set up an “after party” for me the other night when I got home from a work event. I also value my POM PR team. In order to execute at a professional level, you can’t do it alone. London was my first taste of true city life and where I studied abroad in undergrad. It solidified my love for bustling cities (and holiday windows!) and drove my decision to move to San Francisco for Graduate School. Of course, Paris is always a dream. Everything from the boulangeries to the museums to the fashion is incredible. In Paris, you have access to everything. One of my prize possessions is a replica of a Jeff Koons cracked egg that was commissioned for the BCAM at LACMA invitations. Helping friends shop online for shoes. I’ve become the go-to of my circle for anyone searching for the perfect pair! Looking for a flat in millennial pink or a classic block heel boot? I’m your gal.